And while summer barbecues and beach parties might be on the list , you have summer internships on your mind as well. 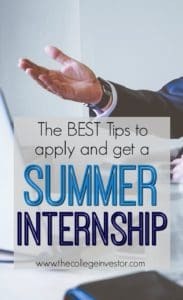 It is not too late if getting a summer internship is something you are just now considering. 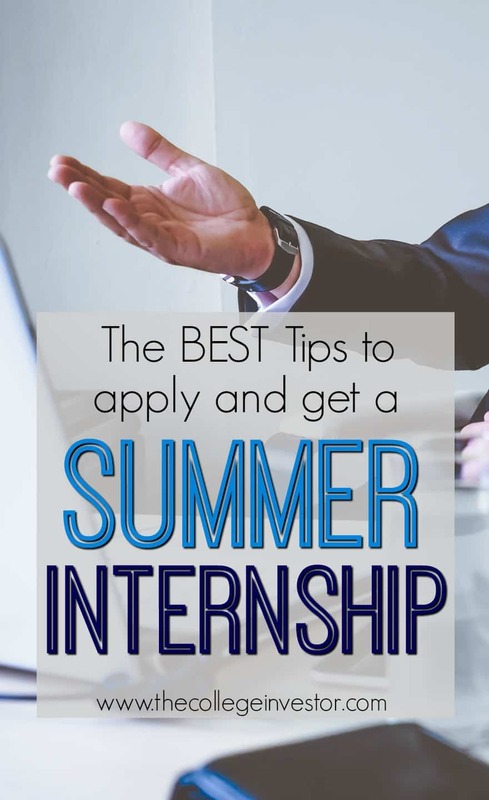 You still have some time to research and reach out to internship opportunities you are interested in before the summer rolls around. More importantly, you are reading this post where we will be sharing the best practices you can employ as you begin to put together application materials to send out to companies. Usually, the first step most people take here is to start browsing job and internship sites like Youtern, Looksharp, The Muse or even LinkedIn. There is nothing wrong with this approach but you could take things a step further. Become a networking strategist – There are always opportunities that are not advertised on the Internet. The only way to find these opportunities is to become great at networking with people in the industry you want to eventually enter. Sometimes, networking could be as simple as following your favorite companies on Twitter and engaging with their Tweets with well-thought out but personable responses. Doing this gets you on the radar of whoever is making those social media posts (including possibly the CEO of the company) and can open up lines of communication that you can leverage in landing that internship with them. Leverage your network – The British anthropologist Robin Dunbar, reported in the early 1990’s that there is a link between a primate’s brain size and the size of their social network. Since we humans are thought to have the biggest and most advanced brains, we also tend to have larger social networks of people we relate to with varying degrees of closeness. From this research came something called the Dunbar Number which suggests the average social network size of one person is around 150. This includes your parents, siblings, friends, school mates, work colleagues, and people you work out with in the gym everyday. Long story short : your network is huge. Make a list of the top 20-25 people in your network and start reaching out to them as well about any opportunities they know of. Chances are that if they know key point people within companies, they could put in a good word for you. Make use of student organization opportunities and the career office – Don’t overlook resources right under your nose. Use your school’s student organizations and career office to locate more internship opportunities. Highlight previous experiences – In preparing your resume and writing your cover letter, don’t worry if you don’t have experience. If you have been alive for the last 2 decades or so, you have some kind of experience that is applicable to the position you are applying for. Worked as a lifeguard for an amusement park ? That takes leadership skills and a careful eye. Worked at your local fast food joint ? You have experience operating Point-of-Sale systems. Be proud of those experiences and look for unique ways to communicate and highlight the essential skills you learned from working those jobs. Don’t be shy about your passions – If you are especially passionate about a particular company because you have used their products and services for years, don’t be ashamed of it. Use that. If your passions have to do with a social initiative, let that shine through as well.If you have volunteered for those social initiatives, make sure to include them on your resume. Be clear on the job requirements and study up – It is tempting to “mass apply” to jobs with the same resume and cover letter and hope that something will stick. If you are seriously trying to score that internship however, this is not the path to follow. Use templates as a guide…but with caution – You can use templates as a guide for your resume and your cover letters. But you have to remember that there are thousands of college students just like you who will also be looking for internships this year and most likely will be using those same templates. So take a look at templates to give you a sense of what should go where but don’t simply copy and paste your information into template slots. Stand Out – As mentioned above, there are hundreds if not thousands of applicants for the very position you are applying for. Standing out, therefore is a must. Here are a few ways to stand out. Create a personal portfolio online – Creating a personal website has never been easier. You can easily create a personal website/portfolio with Wix, Squarespace or on me. You can then add in links to things you have created – videos, podcasts, books etc – , testimonials and even an introductory video to who you are. Create a mini-dossier of solutions you can bring to the company – If you do a great job of researching the company, you may have noticed 1 or 2 problems you can help with off the bat. Before your interview prepare a mini-presentation of solutions (1-2 pages will more than suffice) you can bring to the company if they hire you. You can share that when you send your application in or when you go to interview. Doing this will show that you are self-motivated and an independent thinker ; a soft skill 66% of job recruiters reported finding desirable in people they wanted to hire. Start a Youtube Channel demonstrating your skills – Getting started with video to demonstrate the skills you want to be hired for is as easy as using a good smartphone camera and great lighting.Visual content, including video is reported to be processed 60,000 times faster that written content. Using video is therefore a strategic move that will help you stand out. You have done all the hard work and now you have scored an interview. Congratulations ! Here are a few tips for interview day. Dress appropriately – No matter how “casual” a company may sound or look, they want you to look professional when you interview. A suit , both for men and women, is always acceptable. Mind Your Body Language – Body language communicates a lot about us even more than our words. The common advice to stand up straight, having an open body versus a closed uninviting one, smiling ,and giving firm handshakes all apply. Be Authentic – If you chew gum loudly in private, this is not the place to show that kind of authenticity. It is however important to simply relax and go with the natural flow of things. If it helps, just remember that your interviewer is a human being too. Ask Questions – If there was something about the company or job description you were not clear about when applying, ask your interviewer to clarify. Even during the interview if you are having trouble understanding the questions, ask for clarification so you can give the best answer. It is always better to be clear on what is being asked than to assume and give the wrong answer. Observe Your Surroundings – You are also interviewing the company so make sure to observe the surroundings and the overall feeling in the office. Do you get the sense that this is somewhere you would like to work ? Congrats again ! You have done all of the heavy lifting. Make sure to thank any interviewers and key people you met on your interview via e-mail or a nicely written note.Follow up if you have not heard from the company within 2 weeks by sending a polite email reaffirming your interest in the position. However be careful not to badger them with incessant phone calls or e-mails. If you have done your due diligence putting these tips into action, there is bound to be at least one company that calls you back with an offer. Did you find these tips helpful ? Let’s hear about your summer internship plans in the comments. I would like to add some things. 1. Prepare for the interview! It’s a door opener and a great way to stand out if you can answer most of the questions they’ll ask about a company. It helped me in the past and my GF (with no working experience and a very shy person) was able to impress the interviewers by knowing very detailed information about the products and the company. A very big company everyone in the world knows. 2. Ask questions!!! When they ask you at the end of the interview if you have any questions, ‘no’ is definitely the wrong answer. Prepare 5-10 questions you have as this will show your deep interest and they will probably answer some during the interview. 3. Print your application for the job interview. Okay, it’s their job to do that, right? Yes, it is. However, if they don’t print it you have something to hand over to them. This shows that you are good prepared and thinking ahead. It happened to me that the interviewer wanted to use his laptop and it doesn’t work. I’m sure that was one thing that got me on top of their list. 4. Don’t EVER be late. I know trains can have delays or there is a lot of traffic. But you should never ever be late! Plan to be there 30 minutes before, BUT DON’T GO IN. Walk around the area or something like this. It’s bad to be late, but it is even worse to be 10 minutes to early as your interviewer will get stressed because of you. Go in 5 minutes before the interview or if you think you have to take a long way through the company before you are at the bureau of the interviewer go in 7-10 minutes before the interview. This is nothing that they’ll recognize positive. However, the opposites are things they will recognize negative! 5. Don’t do “too much” on standing out. Bringing a self-baked cake to the company two days after the job interview is no good idea! Just be yourself and try to show your skills and your character perfectly.